The Coalition to Protect Maryland Burial Sites (CPMBS) was formed in 1991 in response to a horrific situation that ultimately saved Whipps Cemetery in Howard County from bulldozers and indifference. Moved to rescue this specific burial ground, Barbara Sieg of Ellicott City quickly recognized that existing laws did not cover willful neglect nor the rights of descendants and lot owners. Setting out to educate herself, to her surprise and pleasure Barbara learned that her concern was shared in other jurisdictions and soon enlisted more Marylanders in her mission. Barbara’s passion and tenacity proved necessary to alert others to a cause whose time had come and to bring in wider energy for what needed to be done. 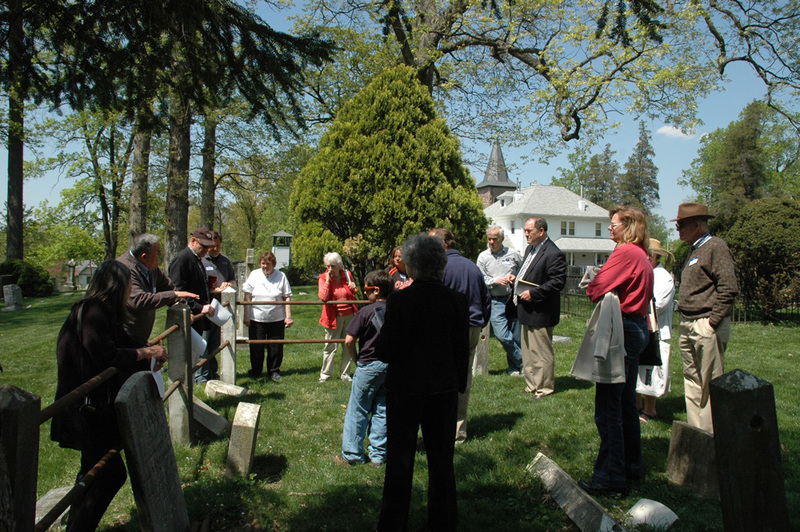 Since 1991, cemetery advocates have bolstered each other through initiatives such as creating friends groups, alerting state legislators, holding annual meetings, distributing the Coalition Courier newsletter, recruiting allies in neighboring areas, declaring Family Remembrance Week, and recognizing good work with Periwinkle Awards. Volunteers in all regions of Maryland have stepped up to protect and restore cemeteries in their areas. CPMBS outreach committee members help to access situations. Coalition members support one another and the general public with advice, information, testimony, constructive encouragement and commiseration, and hands-on conservation activities. Over these 25 years, the Coalition experienced successes and setbacks, learning from each situation that posed a new challenge. Examples of victories are in Howard County (establishing a board to inventory county cemeteries), in Annapolis (amending Maryland law with penalties for desecrating cemeteries), and around the state (visiting cemeteries, assisting caregivers, and recognizing Marylanders with awards for perseverance and initiatives). Many success stories are described in the Periwinkle Awards. Today, many historic Maryland graveyards are described as unkempt or overgrown landscapes, with stones missing, broken, fallen over, and with unreadable inscriptions. Owners and advocates – even for well-tended cemeteries – seek information, advice, and networking opportunities. The number of cemeteries being inventoried, transcribed, protected by historic designation, and cared for is increasing, but Marylanders still have much work to do. This website was recently updated to facilitate CPMBS outreach and assistance to concerned citizens, property owners, caretakers, cemetery boards, friends groups, lot owners, and the general public. The Coalition is grateful for financial assistance from Preservation Maryland and the Maryland Historical Trust to enable this work.